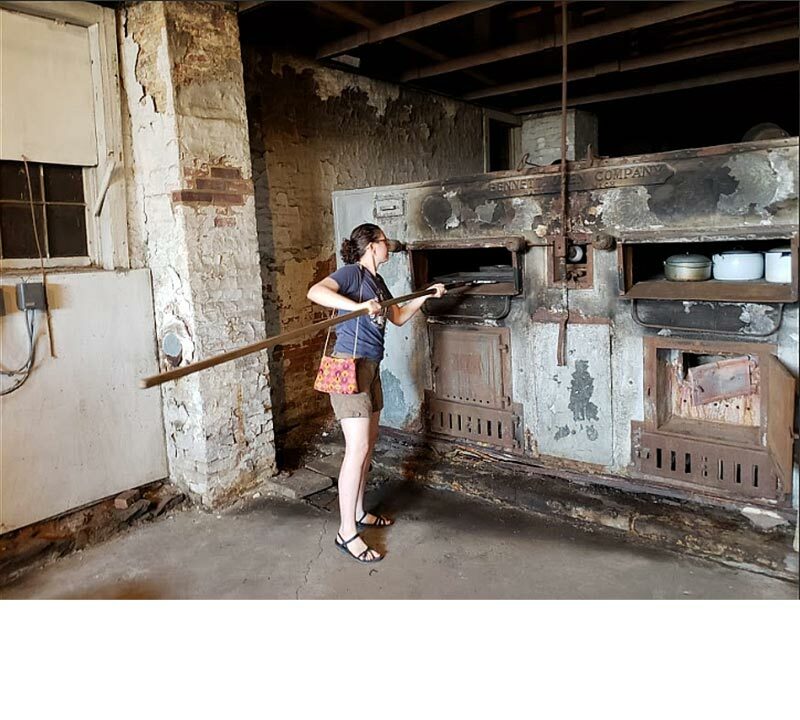 In July 2018, Director Sarah Litvin gave preview tours of the past, present, and future of historic Reher’s Bakery. 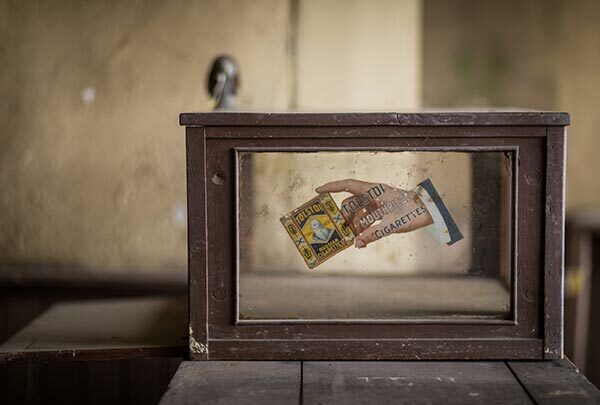 These tours were conceived as a “proof of concept” to raise awareness about the vast potential of our site as a future museum and cultural center, and to solicit input and support to help us realize our vision. 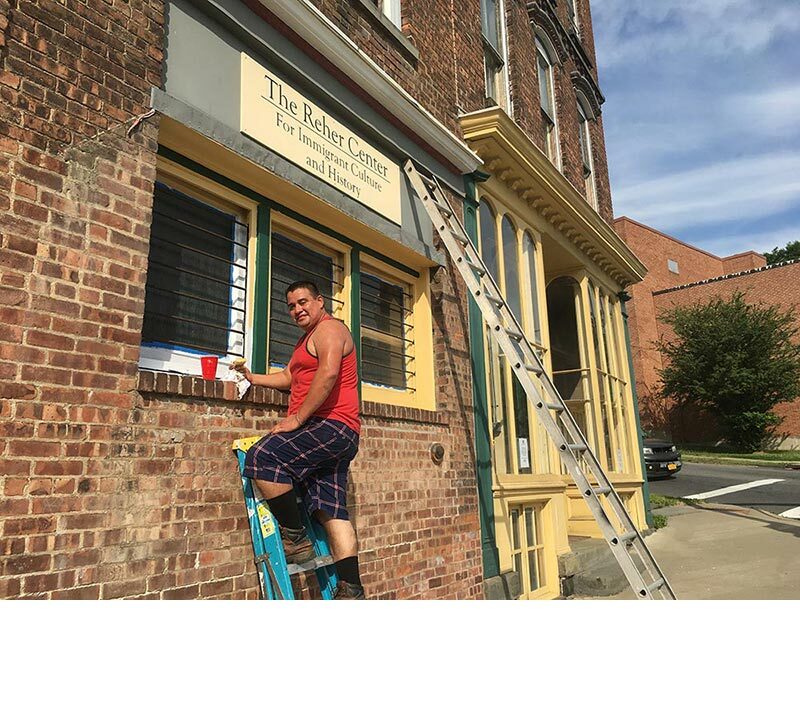 While Reher’s Bakery is closed for tours, please explore our site virtually to see how we transformed our Storefront Windows, Retail Shop, and Oven Room for Summer, 2018 programming. Summer 2018 tours and programming were made possible thanks to a matching donation from the Norman I. Krug family. Special thanks to Graziano’s Downtown Café and Stella’s Restaurant for providing bread for our Preview Tours. Our Storefront Windows in August, 2018. Watch our slideshow to see how our team transformed them from March through August. 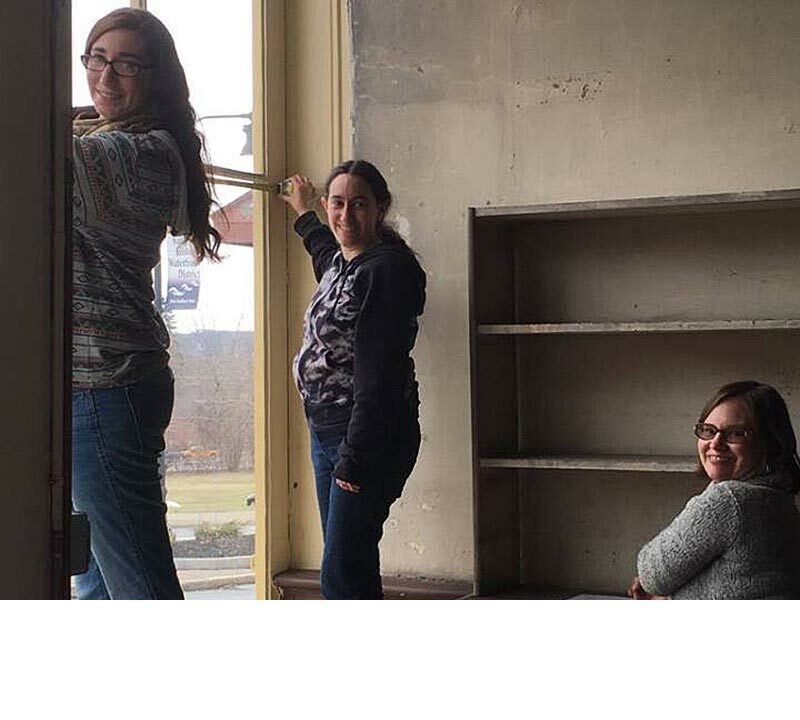 Students from Cooperstown Graduate Program Emma Glaser and Amanda Berman measure the Storefront Windows as part of their work on a Reher Center Furnishings Plan in March, 2018, as their professor, Cindy Falk, takes notes. 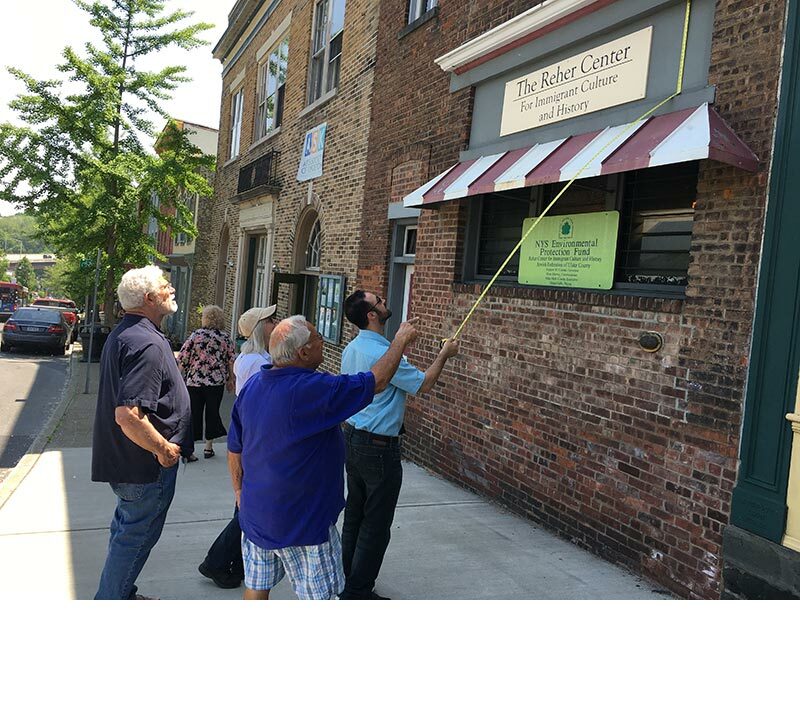 Geoffrey Miller, Nancy Donskoj and Lew Kirschner, members of the Reher Center Steering Committee, look on as Tyson McCasland measures the upper windows to prepare for the installation of large-scale images. Both 101 and 99 Broadway were painted blue, red, and white in the 1980s, after Reher’s Bakery closed. 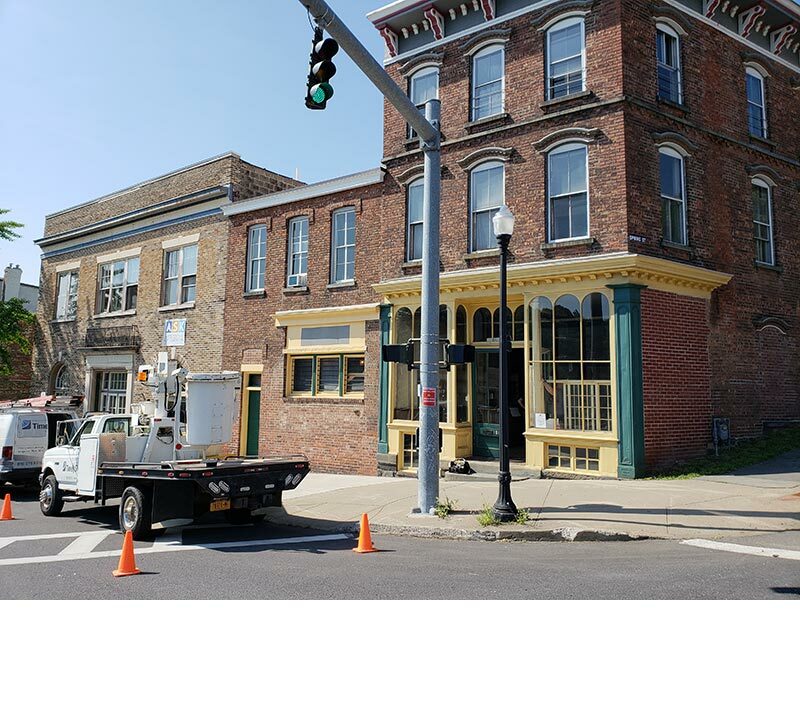 101 Broadway had been restored to its original yellow and green colors during the Reher Center’s 2009 Storefront Restoration Project. Here Richy paints 99 to match. 101 and 99 Broadway just prior to the application of the new Reher Center signage and large-scale images. 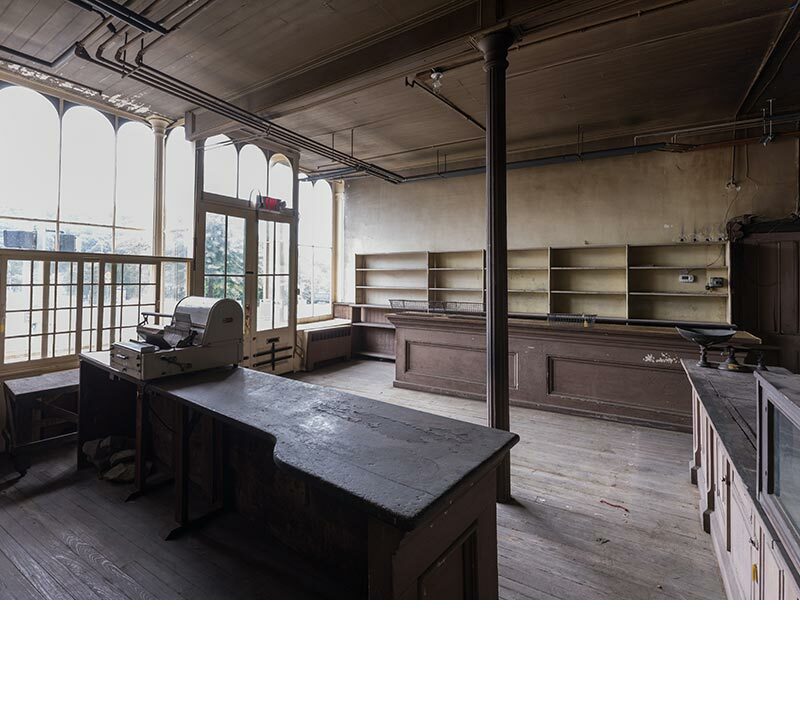 Look closely at the large-scale image of Hymie Reher on the left-hand window, and you can see how the stacks of cans visible in this photograph match the reproduction cans inside the storefront. The large-scale photos depict Hymie Reher, left, Wille, Frank, and Hymie Reher, center, and the Rondout neighborhood in the 1950s, right. We are grateful to Rick Friedman for permission to use this neighborhood photograph, which was taken by his father in 1959. 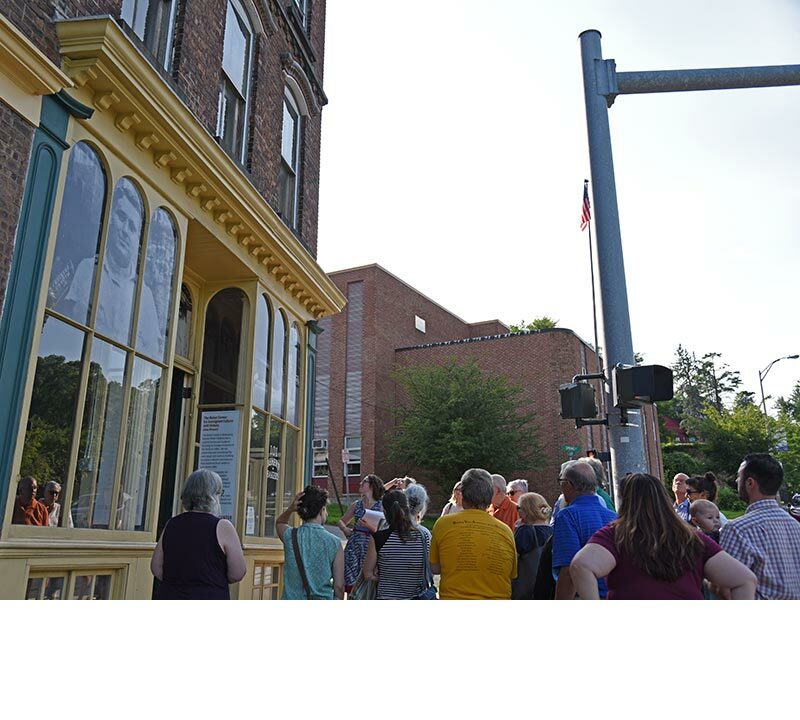 Sarah Litvin began each Summer Preview Tour by using the large-scale images to describe the context of the Reher family and the Rondout neighborhood in the 1950s. 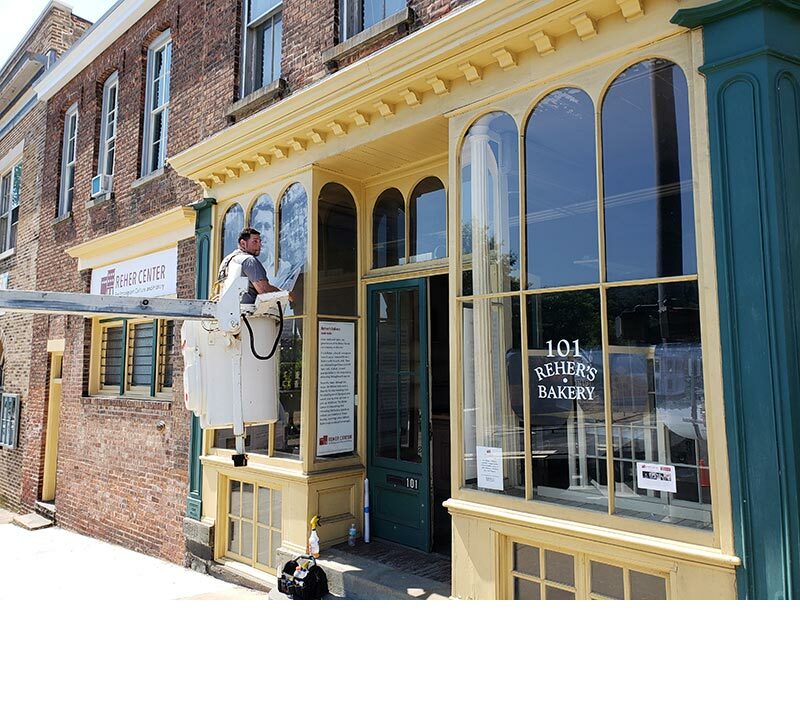 Visible to all who enter the Rondout neighborhood, our retail shop windows depict the story of the immigrant and multi-ethnic, multi-racial community that lived here for over a century. 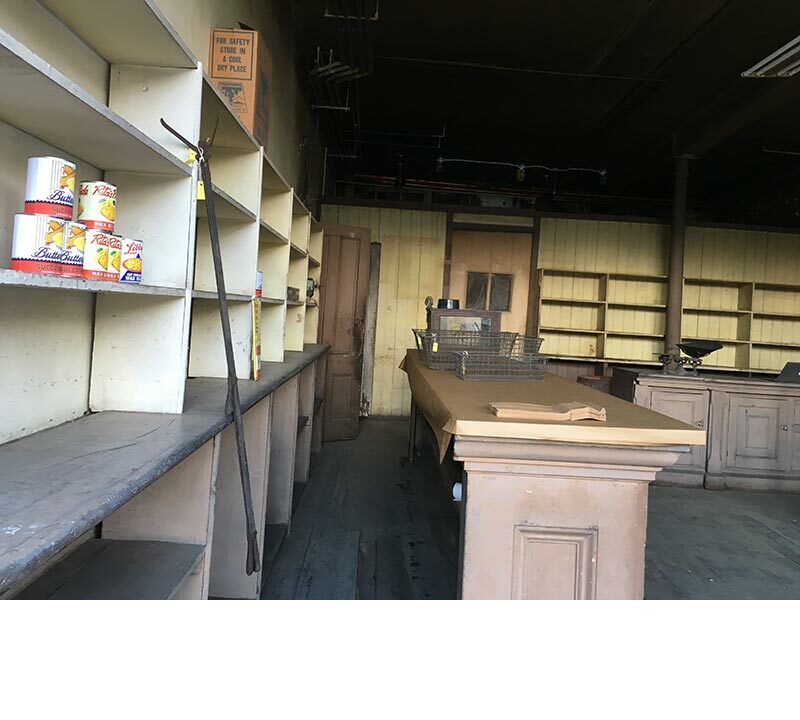 The Retail Shop in August, 2018. View our slideshow to watch our progress from 2007 to 2018. 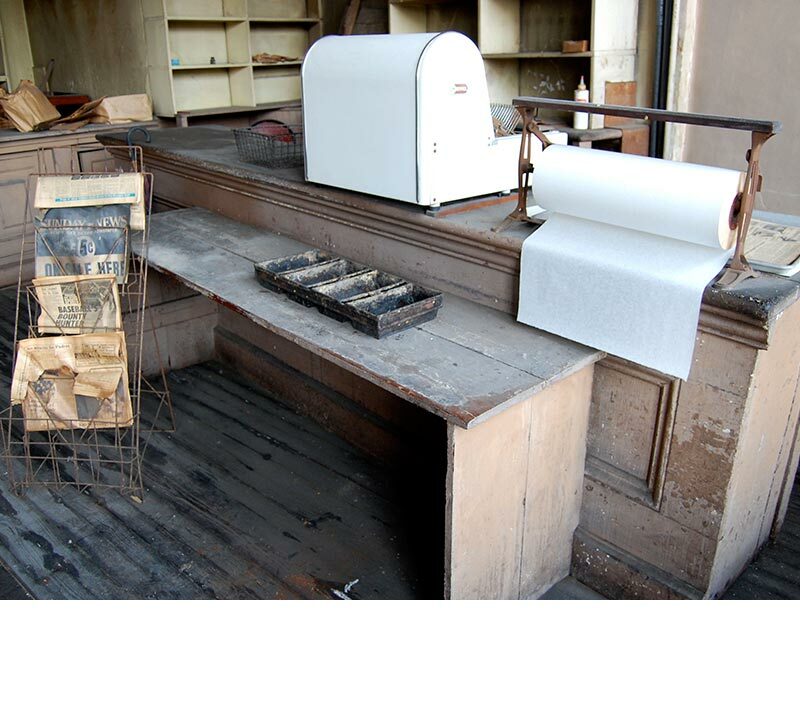 The Retail Shop as it looked in 2007, soon after Hymie Reher deeded the building to the Jewish Federation of Ulster County for the creation of a museum and cultural center. 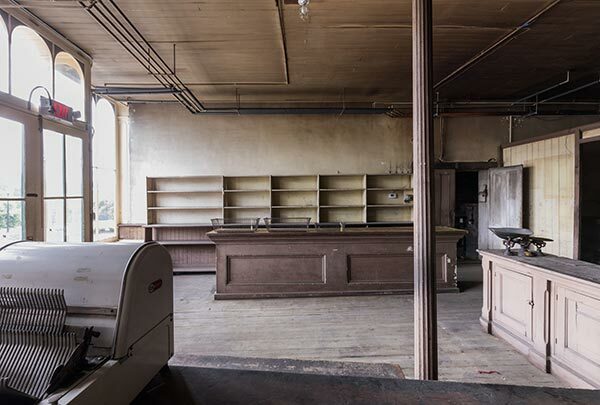 The bakery had been closed since the early 1980s. The Retail Shop as it looked in 2009. 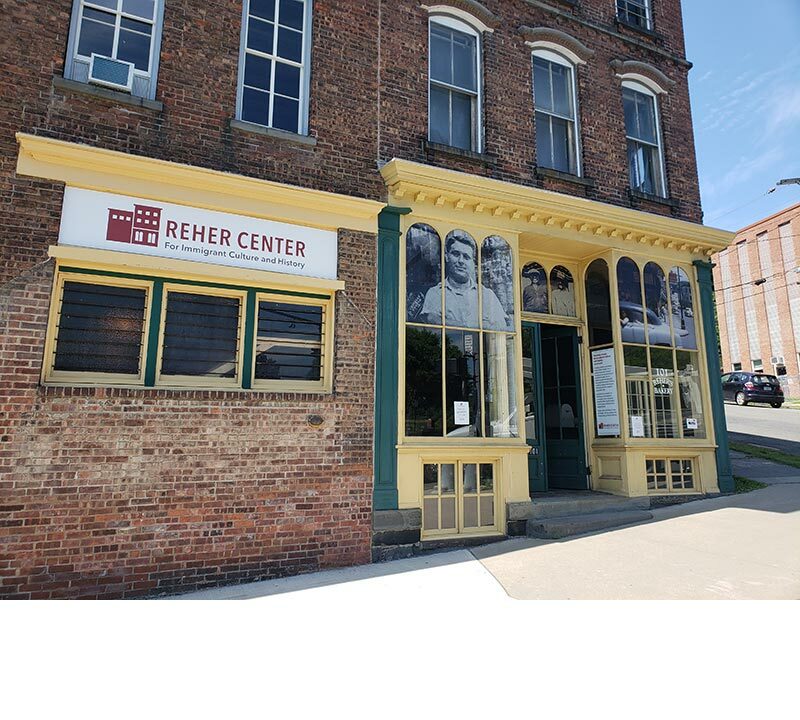 The Reher Center Committee disturbed as little as possible between 2007 and 2017. 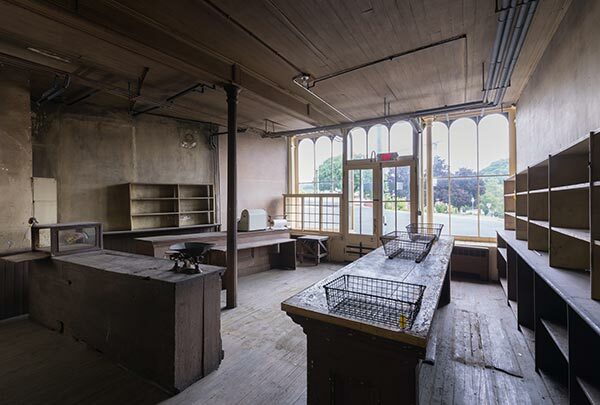 In Summer 2017, the Reher Center hired Sarah Litvin, left and Samantha Gomez-Ferrer, right, to inventory, catalog, and preserve the artifacts left behind in 99-101 Broadway and develop a plan for the site’s conversion into a museum. 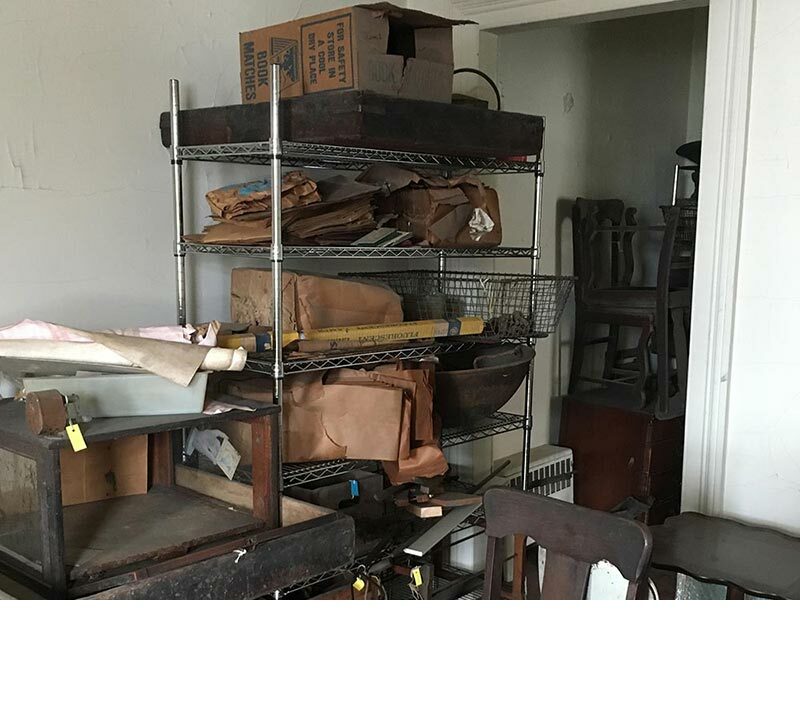 To clean the Retail Shop and recreate the space to a 1950s look for Summer Preview Tours, we removed the majority of artifacts from the retail shop in March 2018 and created a temporary collections storage area on an upper floor. 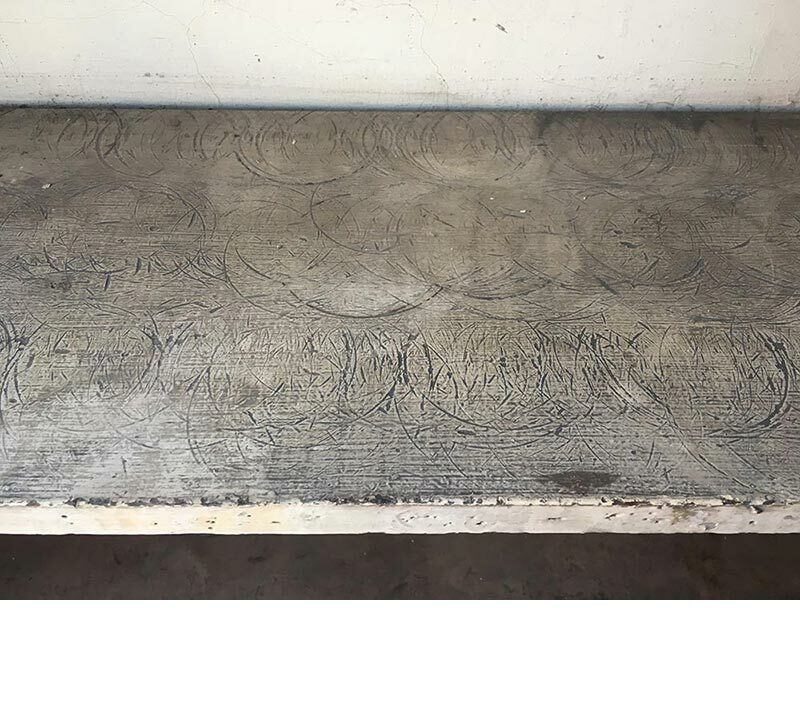 In March, 2018, the Reher Center hired a professional cleaning company to deep-clean and vacuum. 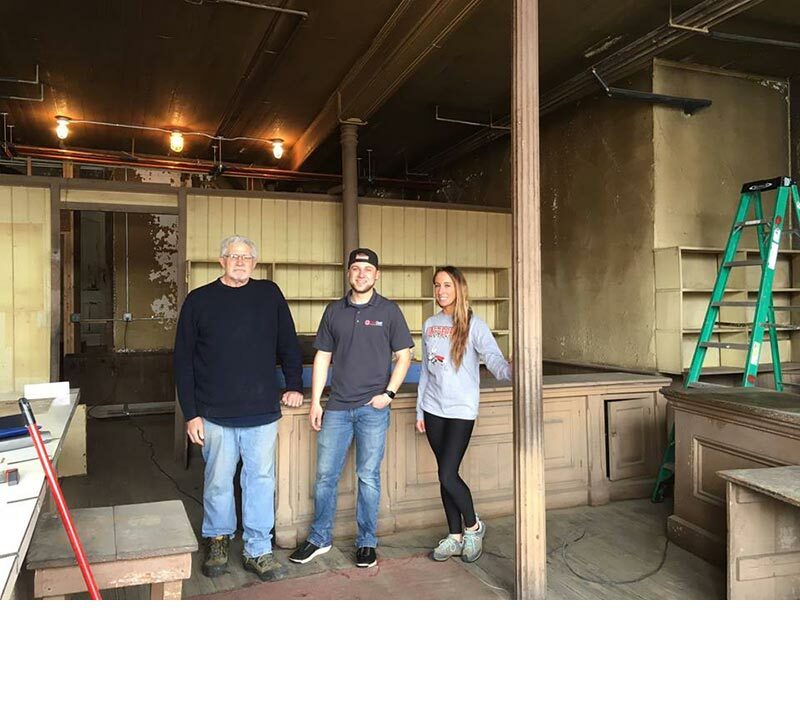 Here Geoff Miller poses with the cleaning team, who used best museum practices to protect the historic structures. 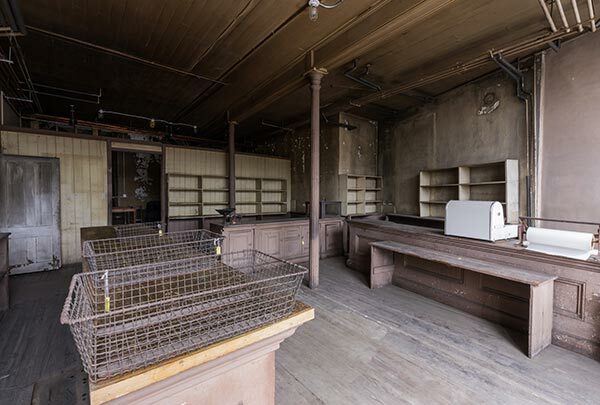 In April 2018, after the Retail Shop was cleaned, students from Cooperstown Graduate Center noticed ring-shaped markings on several shelves in the Retail Shop. 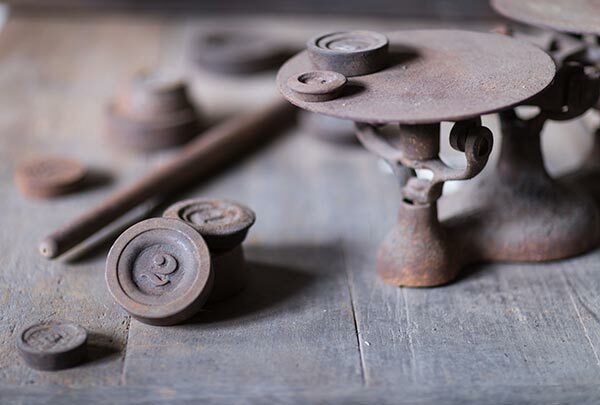 These likely indicate where the Rehers displayed canned goods over many years. 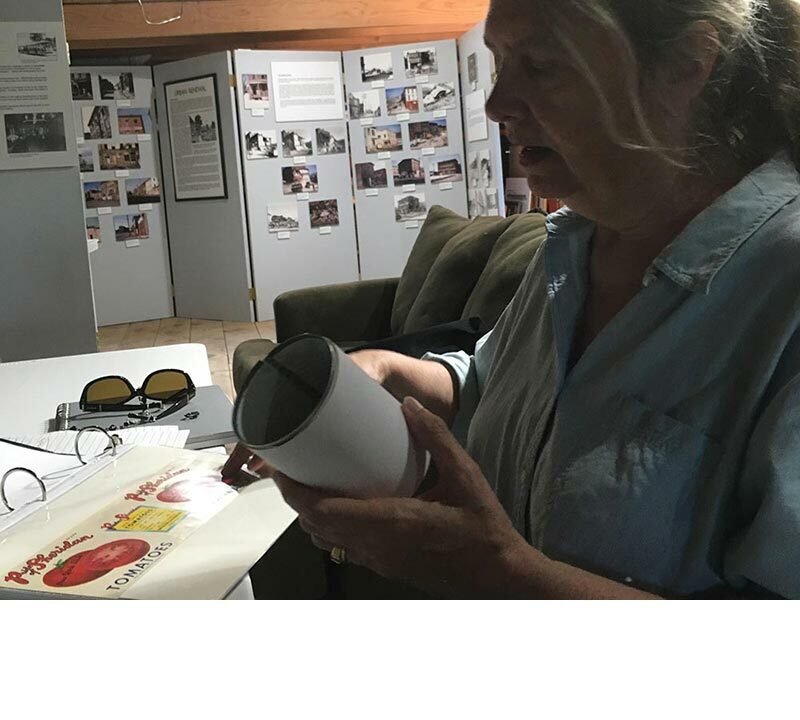 In Spring, 2018, Leslie LeFevre-Stratton fleshed out the research begun by students at the Cooperstown Graduate Program and created replicas of canned goods that might have been sold by the Rehers’ in the late 1950s. 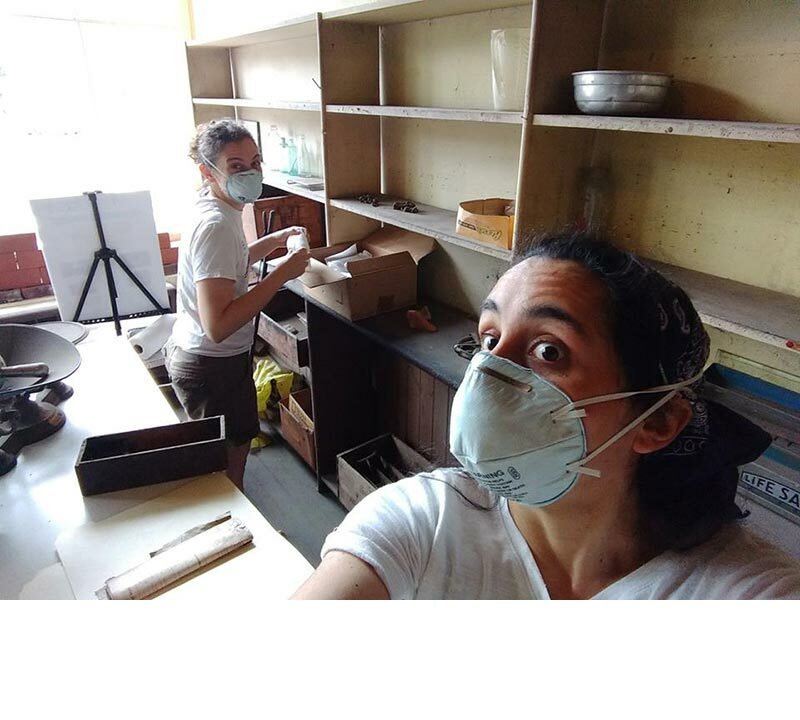 After removing the ca 1980s formica from the Retail Shop counter, Leslie Lefevre-Stratton, right, and Veronica Fassbender, left, covered the surface with brown butcher paper in July 2018. 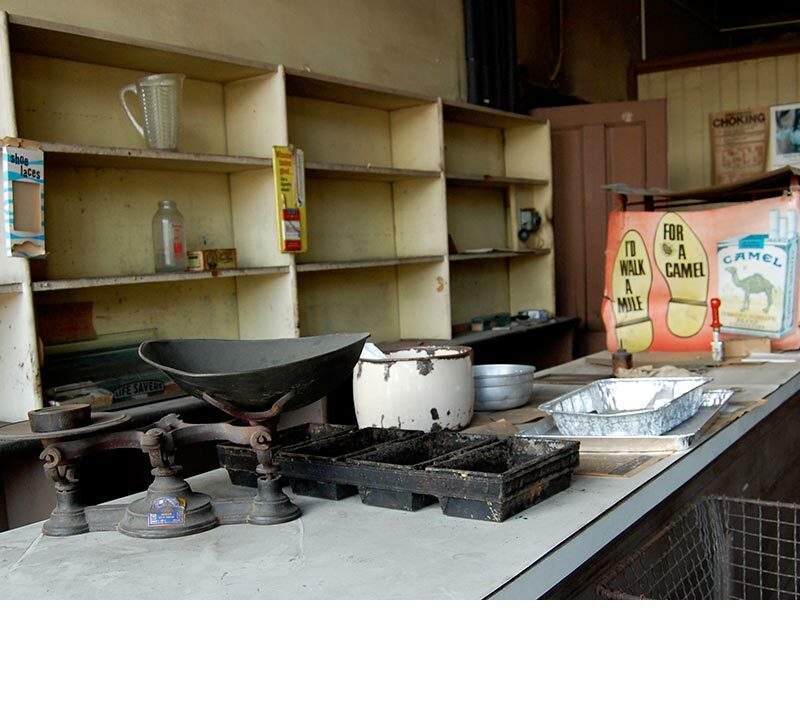 Further research is needed to learn how the counter would have been covered in the 1950s. 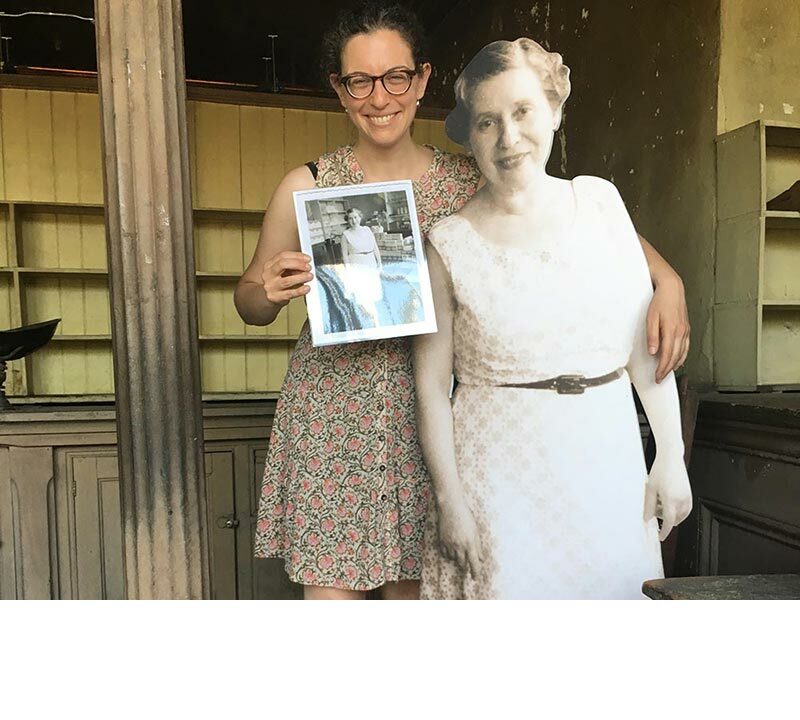 Sarah Litvin poses with the “standee” of Sadie Reher on the day it arrived in July 2018. Sarah holds up the original photo of Sadie in the Retail Shop, ca. 1950s. 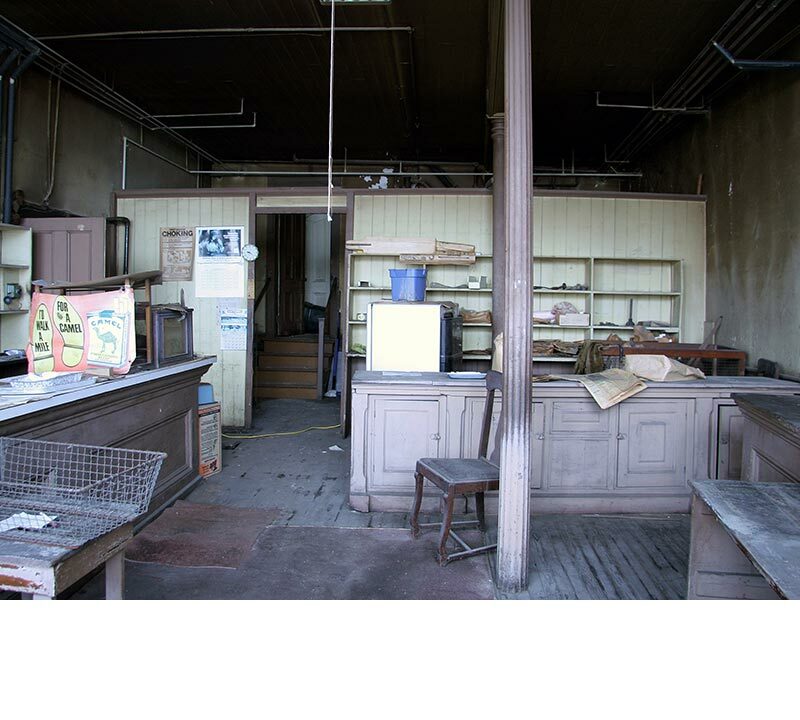 This is the only known photograph of the interior of the Retail Shop. 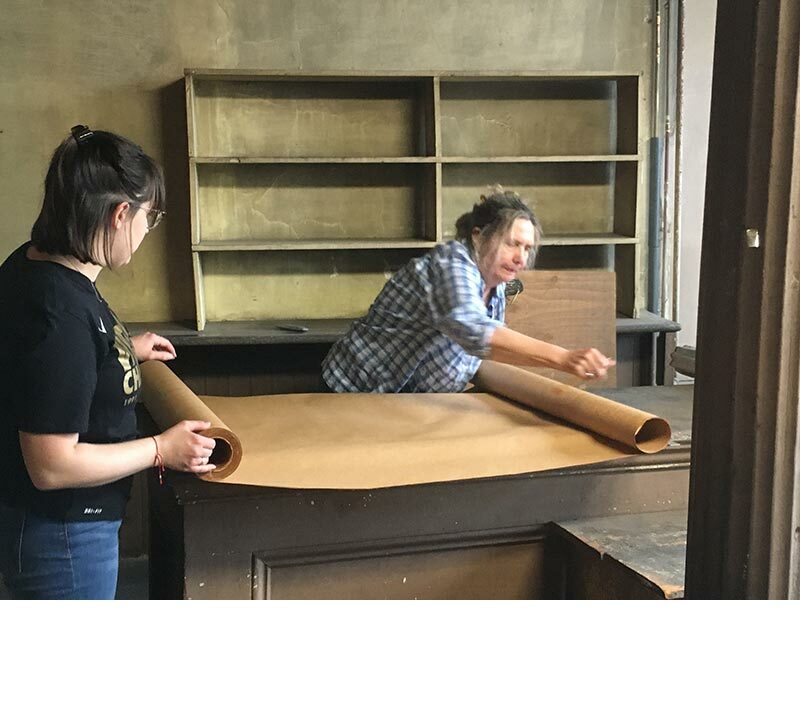 To prepare for Summer Preview Tours, Sarah Litvin and Leslie Lefevre-Stratton brought several items from the Reher Center collection back into the retail shop to help set the stage for the retail shop as it appeared in the 1950s. 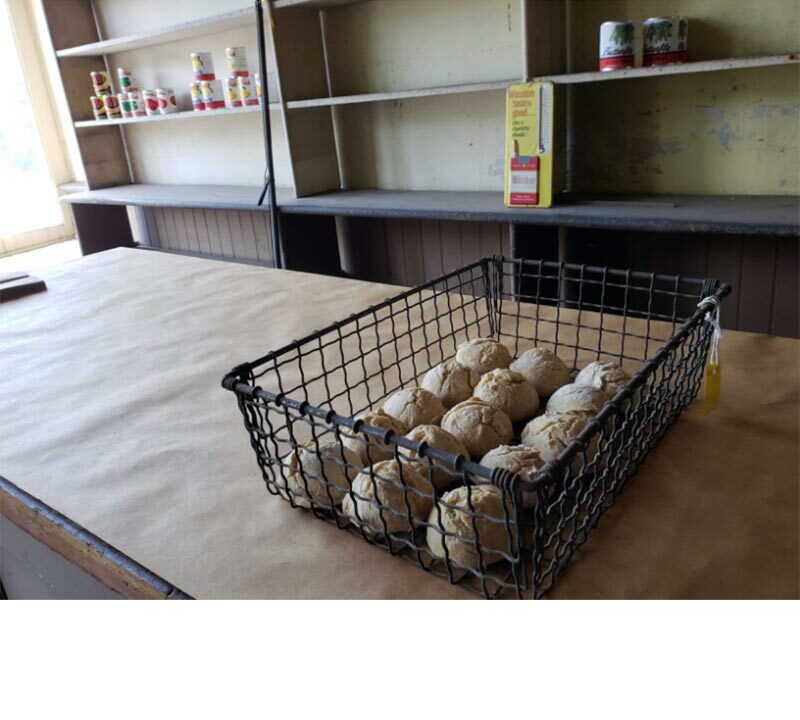 Barbara Burn, the owner of Stella’s restaurant in uptown Kingston, recreated the Rehers’ “Smooth” rolls as she remembered them, to use as props in the Retail Shop for Summer Preview Tours. Graziano Tecchio, owner of Graziano’s Downtown Cafe, donated fresh breads and sweets for visitors on each Summer Preview Tour. 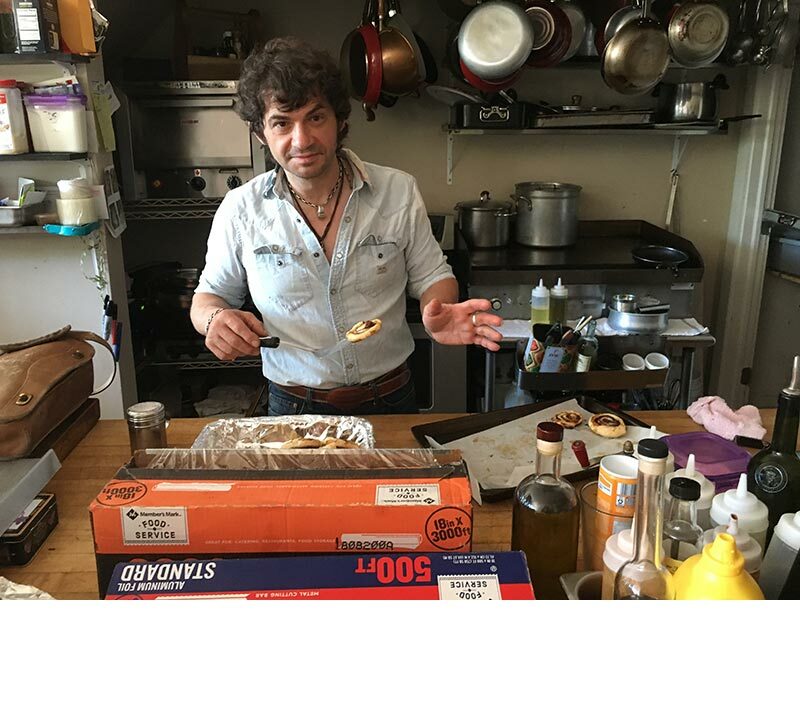 He poses in this photo with a batch of rugelach. 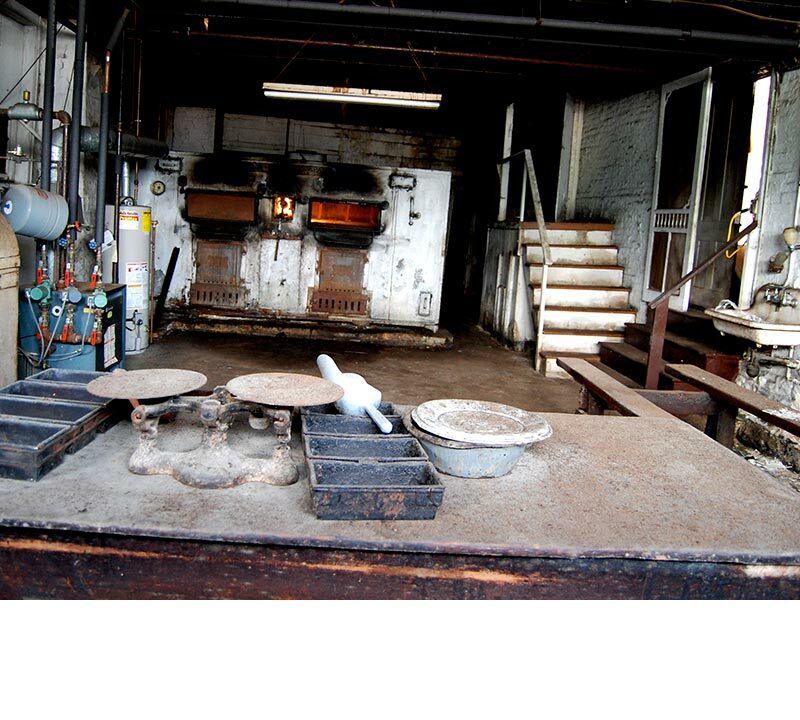 At the beginning of each Summer Preview Tour, Sarah Litvin encouraged visitors to smell and taste bread. 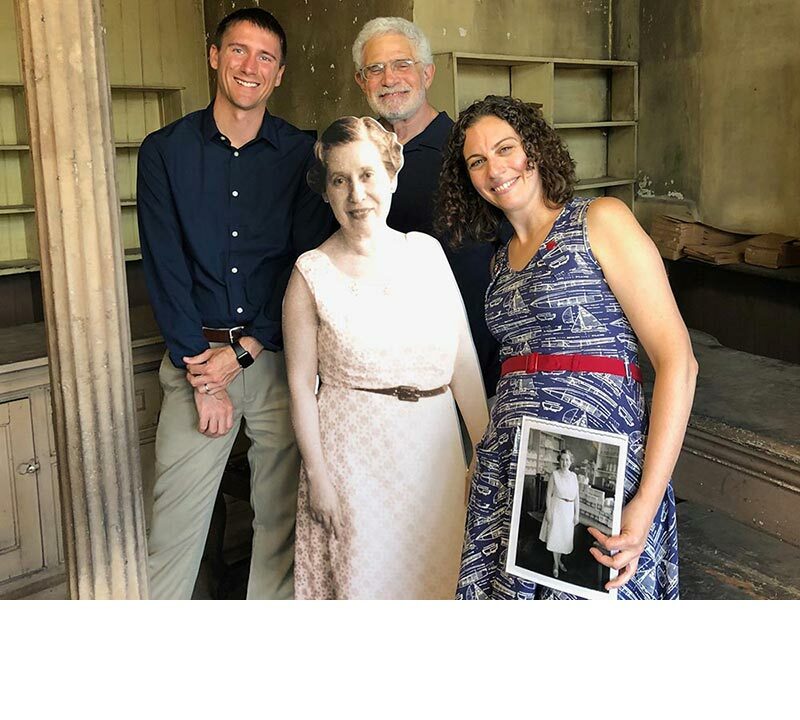 Kingston Mayor Steve Noble, left, Reher Center Chairman Geoff MIller and Director Sarah Litvin pose with Sadie Reher in July, 2018. 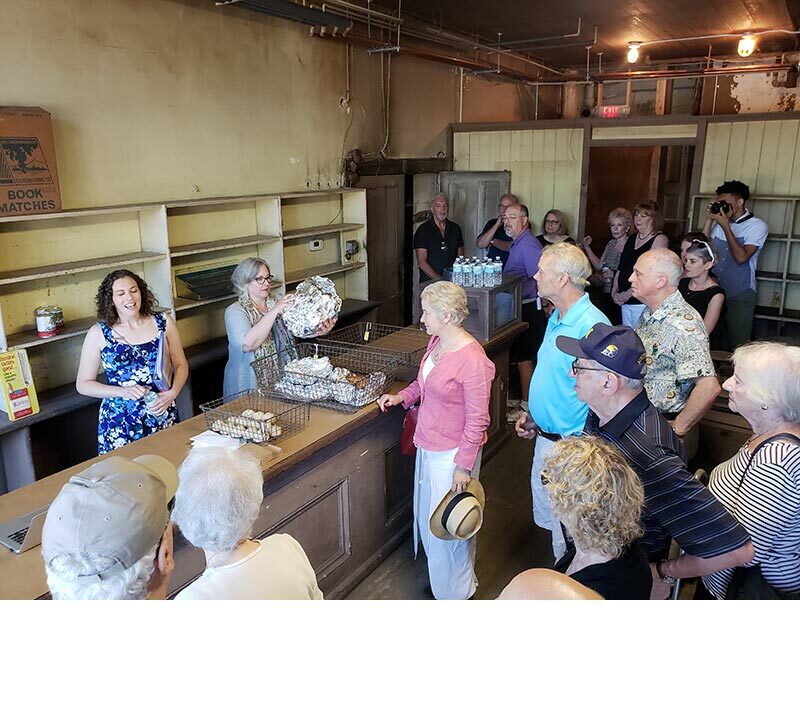 Visit the Retail Shop ca 1959 to learn about Sunday mornings mid-century, when Kingstonians from the German, Irish, Italian, and Polish communities converged at Reher's Bakery to pick up rolls for breakfast on their way home from church. 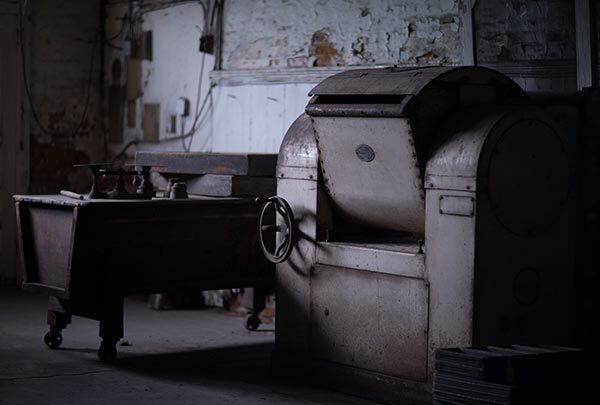 The Oven Room by summer's end, 2018. Watch our slideshow to see how this space evolved from 2007. 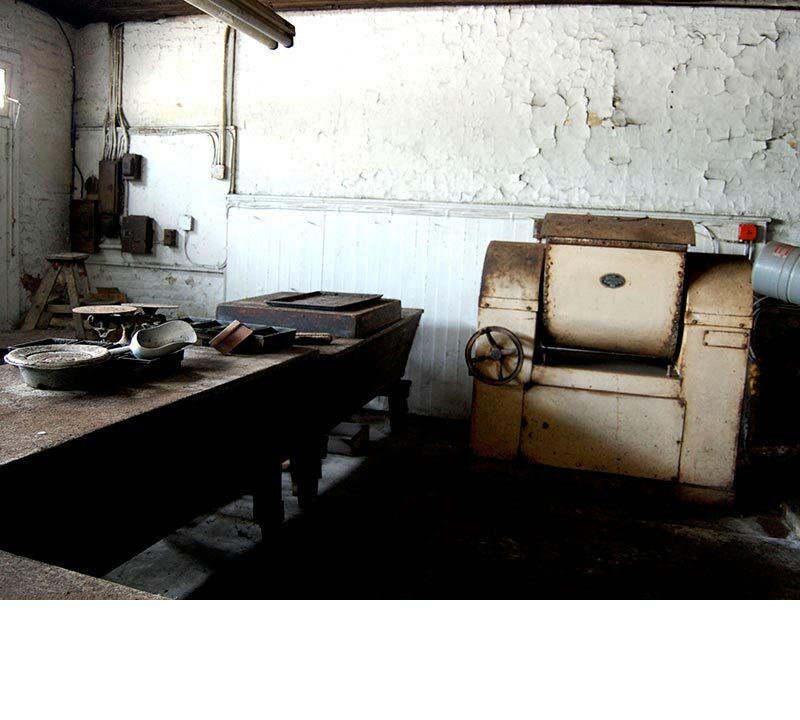 The Oven Room as it looked in 2007. In 2013, the Reher Center addressed major drainage issues that were undermining the foundation of 99 Broadway. This necessitated the removal of the water heating system between the dough mixer and oven (to the left) and the staircase on the right. The space under the staircase functioned as a coal storage bin. In this 2007 photograph, the two wooden dough troughs were against the front wall of 99 Broadway. 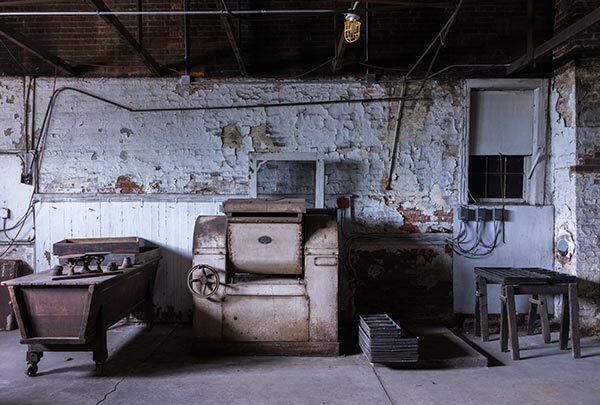 They were later moved close to the ovens when a temporary staircase was installed at their original location. 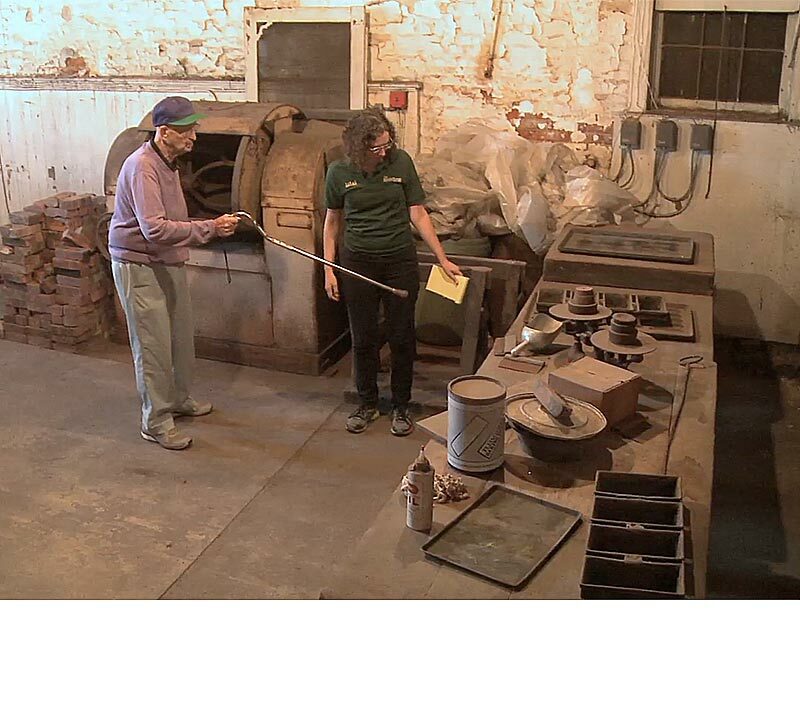 In Summer 2017, Buddy Cohen drove from Florida to Kingston and showed Sarah Litvin how he recalled the oven room was set-up when he used to visit the Reher family during summers in the 1930s. Buddy is the grandson of Frank Reher. His mother, Etta, was the second daughter of Frank and his first wife, Rachel. 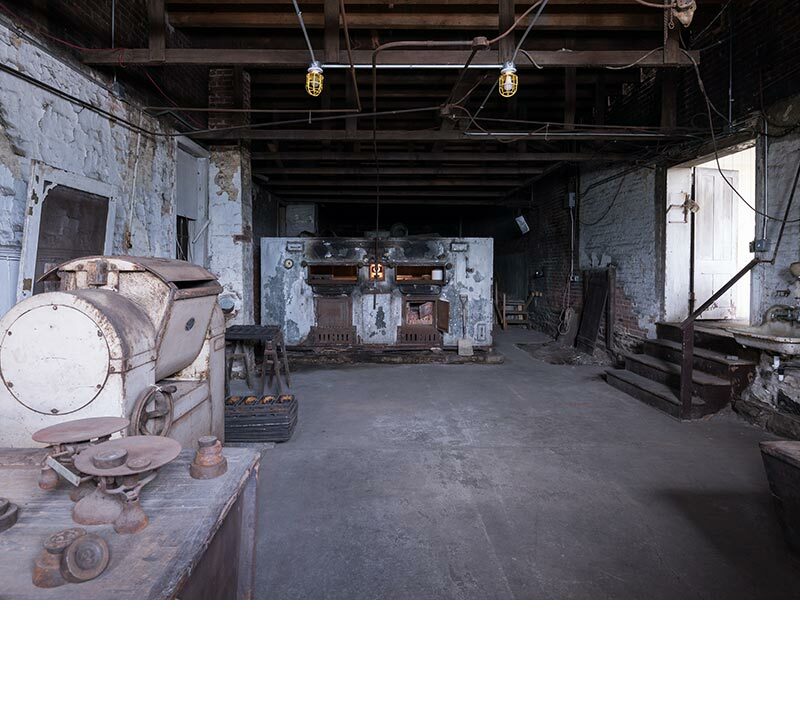 In November 2017, the Reher Center was awarded a Vision Grant from Humanities New York to bring experts in historic oven equipment and museum culinary programming to understand how this space was used historically and might be used in the future. 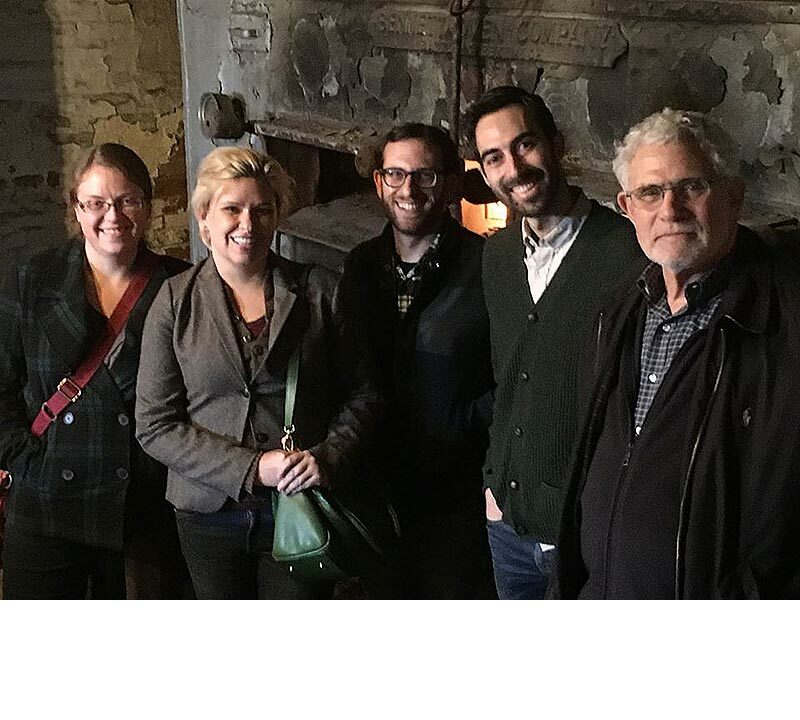 L to R: Sarah Wassberg Johnson, Sarah Lohman, Scott Weiner, Jeffrey Yoskowitz, and Geoff Miller. As of 2018, the oven room has no heat. 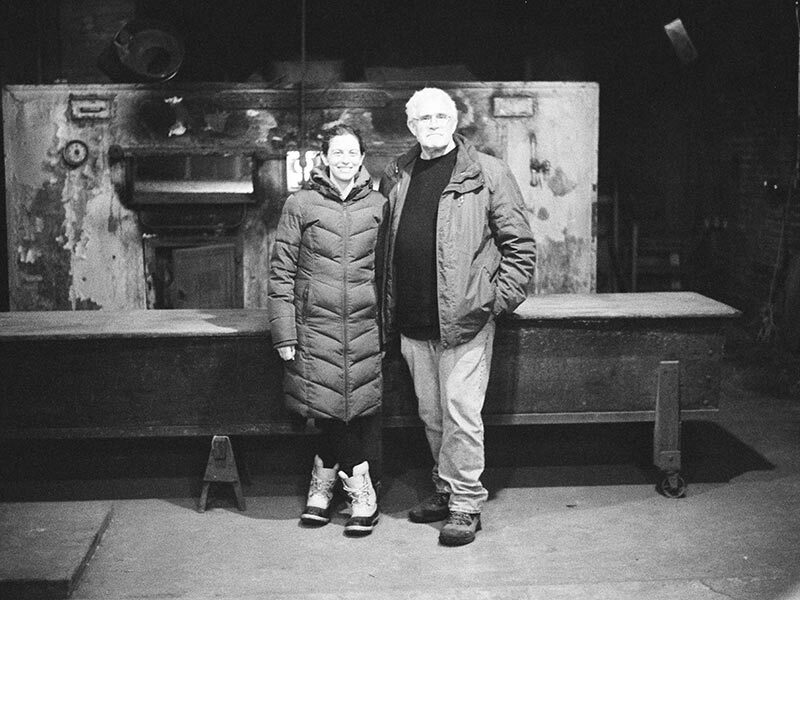 In this shot of Geoff Miller and Sarah Litvin at the Reher Center in March 2018, they are both dressed in heavy winter wear. 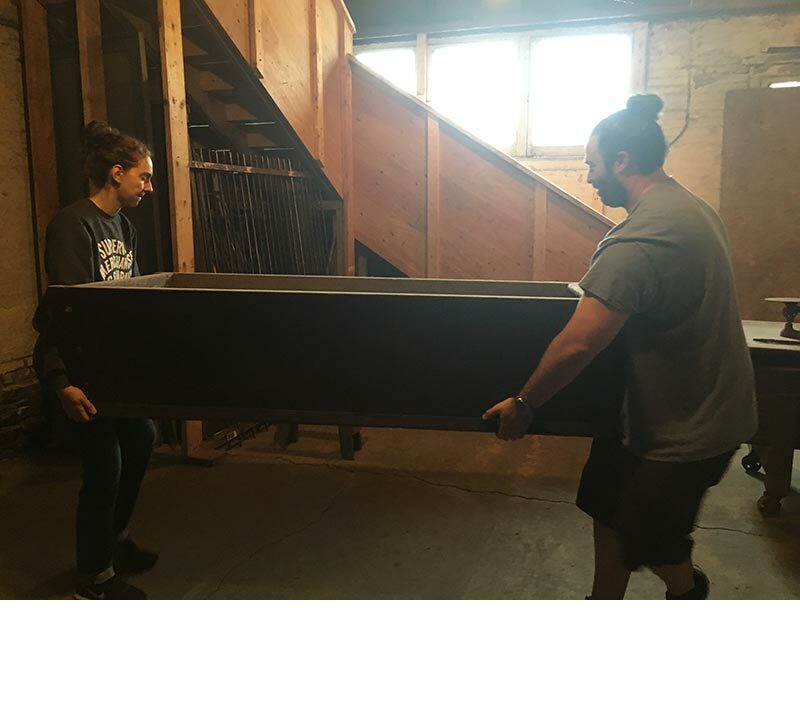 To prepare for Summer Preview Tours, the Reher Center enlisted friends and family (Rebecca Sauer, left, and Gabriel Miller, right,) to move the antique dough troughs back toward their original place at the front of the Oven Room. June, 2018. No bread peel was found at 99 Broadway, but Buddy Cohen described the dimensions of the one he remembered, and Scott Weiner helped us to source one from Lombardi’s restaurant in Little Italy, New York City. In this photo, Sarah Litvin demonstrates its use on the day it arrived in Kingston in July, 2018. 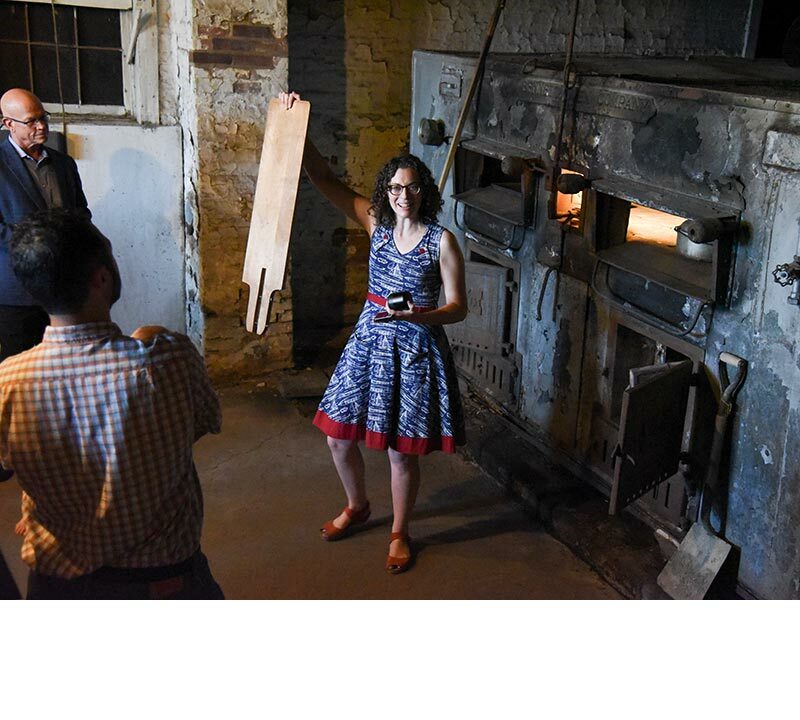 Sarah Litvin holds up a wooden peel part during a Summer Preview Tour in July, 2018 that was discovered by Geoff Miller at the Reher Center. It fits perfectly on the long wooden handle of the peel donated to the Reher Center by Lombardi’s restaurant. 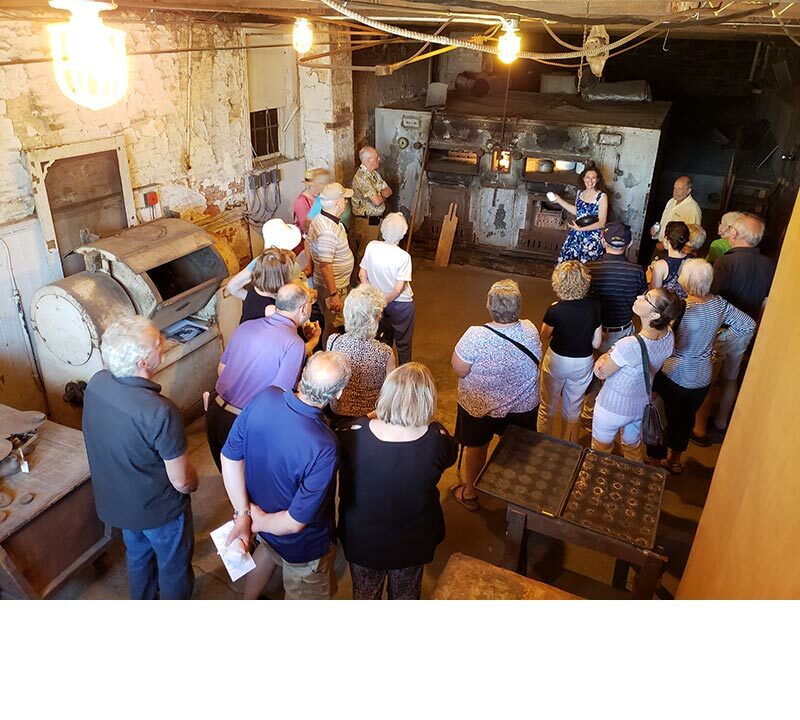 Reher Center Director Sarah Litvin describes how the oven functioned to a large group of visitors on a Summer Preview Tour, July 2018. 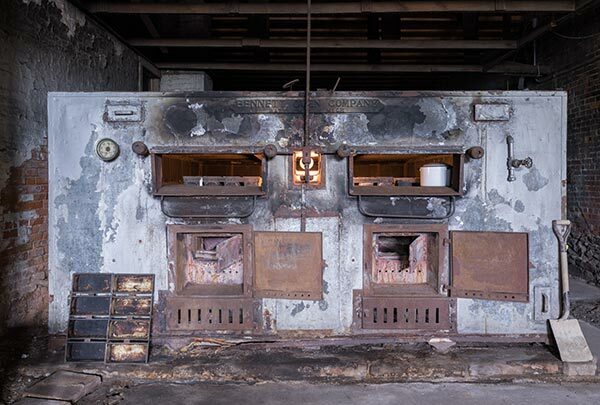 Explore the oven room to see the historic 1916 oven and 1947 dough mixer, and to learn how Frank Reher and his six children each played a role in running this business and supporting the family.